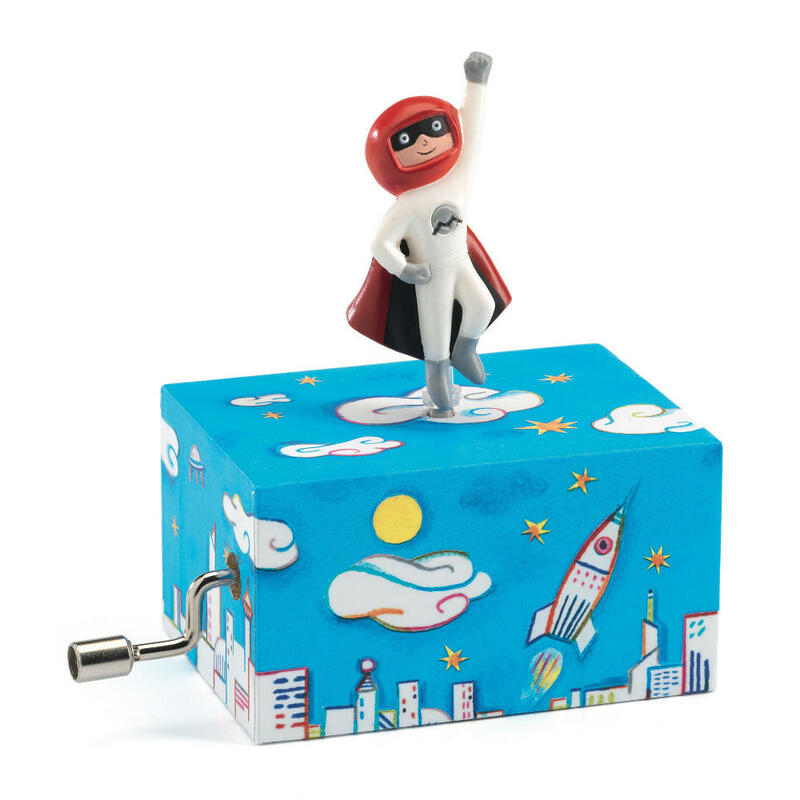 Just turn the handle to play the melody and watch the colourful super hero spin around above the clouds. 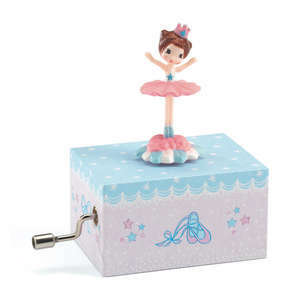 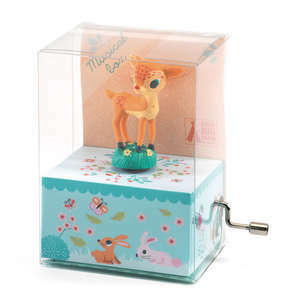 This cute little music box from Djeco plays Take me out to the ball game by Albert Von Tilzer. 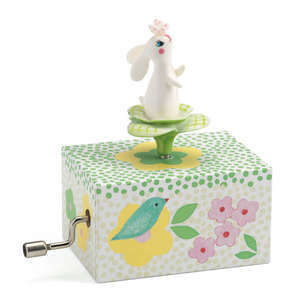 Box approx 7 x 10 x 5cm.